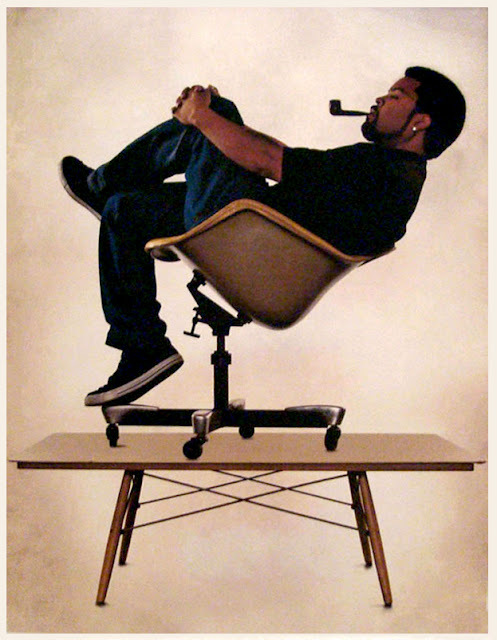 MID-CENTURIA : Art, Design and Decor from the Mid-Century and beyond: Ice Cube Celebrates Eames! A few weeks ago I posted the below "Ice Cube Celebrates Ray & Charles Eames" poster, which ended up being an unapproved ad concept that was leaked for the Pacific Standard Time exhibit. But as it turns out, Ice Cube is really participating in the exhibit! 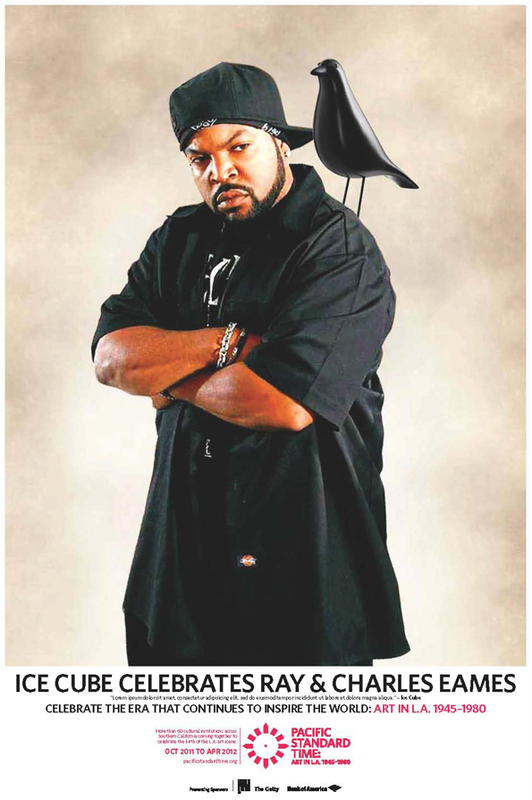 Above is an image of Cube recreating an old photo of Charles that will be used to promote the forthcoming video "Ice Cube Celebrates Eames". Read more about it on Curbed LA here and here. These are some really great photos. Your blog is beautiful.